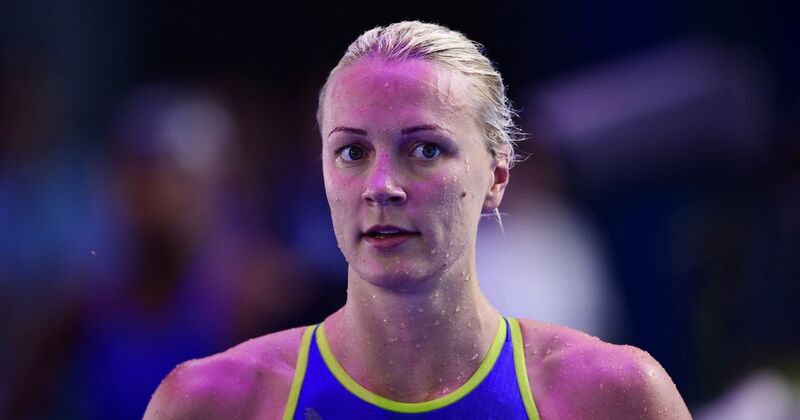 The Swede became the first woman to complete 100 metres under 52 seconds in the first leg of the 4x100 metres freestyle. Sarah Sjostorm says there is more in the tank, with the women’s 100m freestyle world-record again under threat after powering her way into Friday’s final at the world championships. The 23-year-old Swedish sprinter became the first woman to swim under 52 seconds last Sunday during a powerful first leg in the 4x100m freestyle. In the semi-finals, Sjostrom was the fastest of a powerful field, clocking 52.44 seconds, and having bettered her time from the heats, she can go faster still. “I’m really happy that I went half a second faster, even though it was the same effort for me,” she said. Sjostrom is predicting a tight battle – similar to last year’s Olympic final when Simone Manuel of the USA and Canada’s Penny Oleksiak, 17, who are both into the Budapest final, shared the gold. Defending champion Bronte Campbell of Australia and 2012 Olympic champion Ranomi Kromowidjojo also went through with quick times. “Just remember though what happened in the Olympics, I’m looking forward to it but it can go either way,” added Sjostrom. Olympic champion Ryan Murphy was the second fastest into the men’s 200m backstroke final behind China’s Xu Jiayu, who clocked 1:54.79 when the pair met in the semi-finals. Xu won the 100m title on Monday, beating Murphy, also the Olympic champion over the shorter distance, into bronze. “I wanted to just go hard in the last 50, but Xu really pulled us all out there, he went out really hard,” said Murphy. The defending champion Mitch Larkin of Australia bowed out in the semi-finals, finishing 15th fastest after only squeezing his way through in the morning’s heats. The men’s 200m breaststroke world-record is also under threat in Friday’s final after Russia’s Anton Chupkov swam a new championships record of 2:07.14 in the semi-finals. Japan’s Ippei Watanabe, who set the current world record of 2:06.67 in Tokyo in January, was second fastest behind Chupkov at 0.30 back. With no Adam Peaty over the longer distance, Ross Murdoch will fly the flag for Britain having qualified as third fastest, just 0.48 behind Chupkov. “I don’t know if I will break the world record tomorrow, it’s a secret – you will find out,” teased Chupkov. The Olympic champion, Dmitriy Balandin of Kazakhstan, was a casualty in the semi-finals as he bowed out in 13th place, while defending champion Marco Koch of Germany also failed to advance in 11th. Russia’s Yuliya Efimova set the pace for the women’s 200m breaststroke final, but Lilly King of the USA, who broke the 100m world record on Tuesday only scraped in as eighth fastest. King, 20, had been the quickest in the morning heats, while Australia’s Taylor McKeown, the 2014 Commonwealth champion, was third fastest.